The primary mission of the Eastchester Little League is the healthy development of boys and girls in such a way that they grow into fine adults. Through proper guidance and exemplary leadership, the Eastchester Little League program assists children in developing the qualities of citizenship, discipline, teamwork and physical well-being. 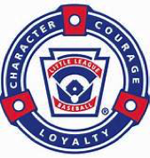 By espousing the virtues of character, courage and loyalty, the Eastchester Little League Baseball program is designed to develop superior citizens rather than superior athletes. The Eastchester Little League believes that the ideals of fairness, integrity, and honesty can be aided through the virtue of transparency, emotional intelligence and social bonding. This will be achieved through guided participation, a supportive environment and focused practice using the collective wisdom of the community. The Eastchester Little League has three goals, (1) to inspire your boys and girls to enhance their physical, social and interpersonal skills through competition, (2) to offer the community the practiced wisdom, thoughtfulness and guidance of its elders, and (3) to provide all members of the community an outlet and a place to meet and share their gifts.